As explained in the EverGraze Nuts and Bolts of Grazing Strategies Online Exchange, planning and monitoring to changing conditions are critical steps to get the best performance from pastures and livestock. 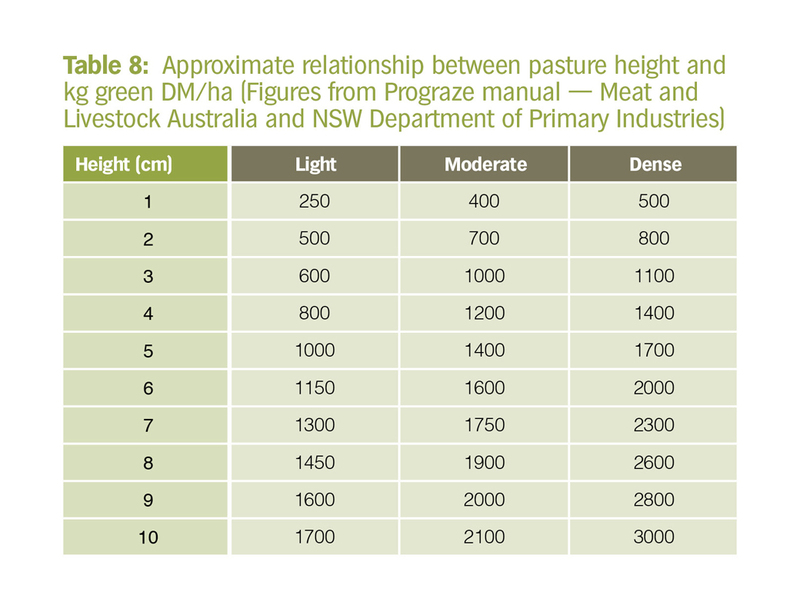 Factors to consider include allocating stock to appropriate paddocks, managing pasture quantity and quality to meet livestock requirements, and allowing pastures sufficient rest to recover. Farmers also need to think about the current situation, as well as what pasture growth and feed on offer might look like later in the season.. At times it can be difficult to plan a rotation to balance these requirements when paddock sizes, pasture performance and feed on offer varies across the farm. The EverGraze Feed Budget and Rotation Planner provides a good starting point for determining approximately how long each paddock in a rotation will last, likely performance of the livestock, and the overall length of the rotation and hence the rest period for each paddock. The Tool can also be used to determine the total area required for each mob and for keeping records of paddock performance. This page describes a process for setting up a grazing rotation using the EverGraze Feedbase Planning and Budgeting Tool. Before setting up your grazing system, you first need to decide which paddocks to include. Consider the requirements of each mob on the farm and how many hectares they require to meet FOO targets. 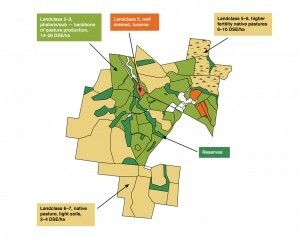 Start by listing the paddocks and grouping them according to their capability and proximity for ease of management. 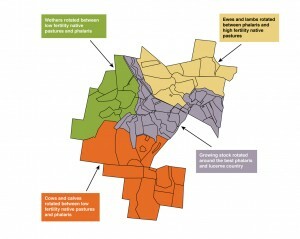 See Dividing up the farm for grazing management. An example is provided below. You then need to list the mobs and their requirements. This will help to identify which areas of the farm they are most appropriately allocated, and also where mobs could be combined to allow more paddocks for rotational grazing. If the stock carrying capacity (DSE/ha) of each area of the farm is determined, then the area required for each mob can also be roughly determined. Tables 14 (sheep) and 15 (cattle) provide DSE ratings which indicate differences in energy requirements between stock classes throughout the season. The Rotation Planner in the Feedbase Planning and Budgeting Tool is based on the Feed On Offer (FOO) targets set at the end of grazing for each paddock. 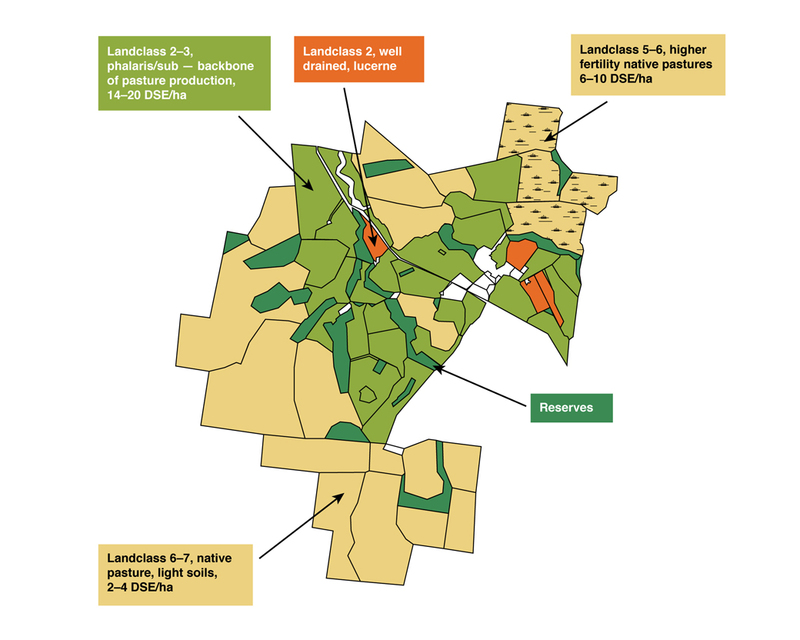 The user fills out the area of each paddock, area, current FOO and target FOO at the end of grazing plus expected pasture growth. Animal intake is determined by the class of animal grazed in the paddocks and a wastage factor must also be entered. 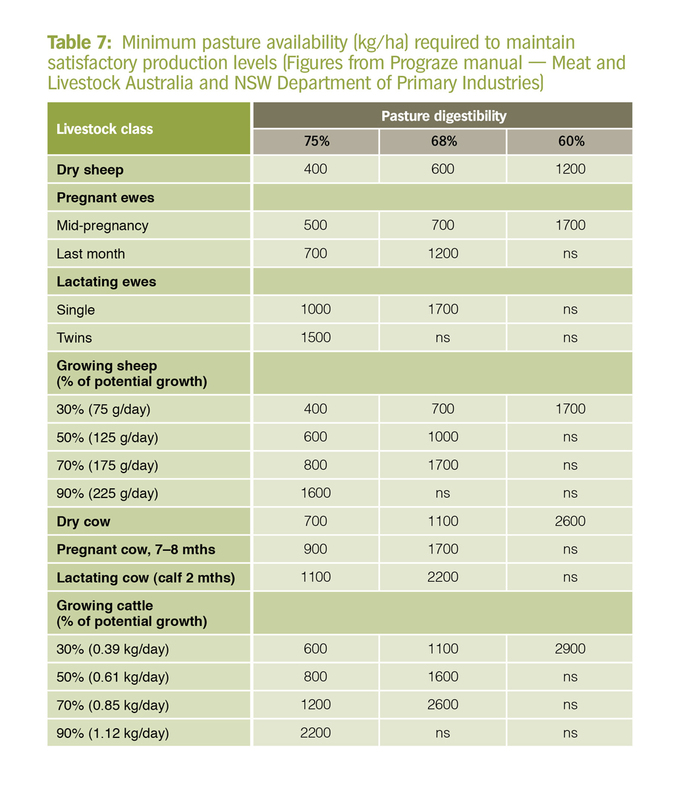 The livestock intake data is taken from either the Lifetimewool website , tables from Prograze (MLA and NSW DPI) or the Agriculture Victoria Drought Feeding Manuals. A full list of tables can be found here. Regional pasture growth figures are available. You may choose to graze paddocks in order based on FOO on paddock assessment day – the paddock with the highest FOO grazed first, the lowest FOO grazed last. You may order paddocks based around the distance paddocks are from one another – graze paddocks 1, then 2, then 3 etc because they are adjacent. The order may be dictated by characteristics of paddocks and coming weather events – hot weather is predicted for next week and want stock in a paddock with shade. Pasture species may influence the order of grazing – some species may need spelling at certain times of the year to ensure persistence. Nutrient or chemical applications may require stock to be withheld from some paddocks for a short time, ending up further down the order of grazing. At any time you can change the order of paddocks in the rotation by clicking on Re-calculate Pasture Budgets. A YouTube tutorial explaining how a simple rotation can be set up using the EverGraze Feedbase Planning and Budgeting Tool is available here and a written example is provided below. It’s the 15th of May and Jane wants to plan a rotation for her mob of 900 50kg ewes pregnant (70 days). She enters these figures into the rotation planner. After completing all the details, Jane sees that each paddock is going to last between three and 11 days. Jane estimates the growth rate of each paddock for the next rotation and sees that each paddock is only going to get between 17 and 30 days rest before the next grazing. Other observations are that Wombat paddock will be grazed for 11 days while Olive paddock will only last three days, and Nixes Cross, which is too low in quality to meet energy requirements of the ewes close to lambing, will be grazed for seven days. Jean wants to achieve a slightly longer rest period (40 days), and even up the days spent in each paddock. She decides to try changing the order of the paddocks so that Wombat paddock is grazed earlier. She also increases the target residual FOO in Nixes Cross to 1400 kg/ha so they are moved on more quickly, and adds Pine paddock to the rotation to allow for a bit longer rest. Jane is happy with the result and she sees that there is plenty of feed building up in the Feed on offer at the start of the next rotation column and she should be comfortable for lambing. The EverGraze Feedbase Planning and Budgeting Tool was developed by Kate Seargeant formerly of Agriculture Victoria Benalla and Lee Beattie, Beattie Consulting Services, as part of the Future Farm Industries CRC national EverGraze project. The tool has been developed over a number of years and has been contributed to by scientists, extension staff and farmers. Key resources used in the program include the Prograze manual, Lifetimewool research, FEEDTEST averages and the Agriculture Victoria Drought Feeding Manual.